I love this!! 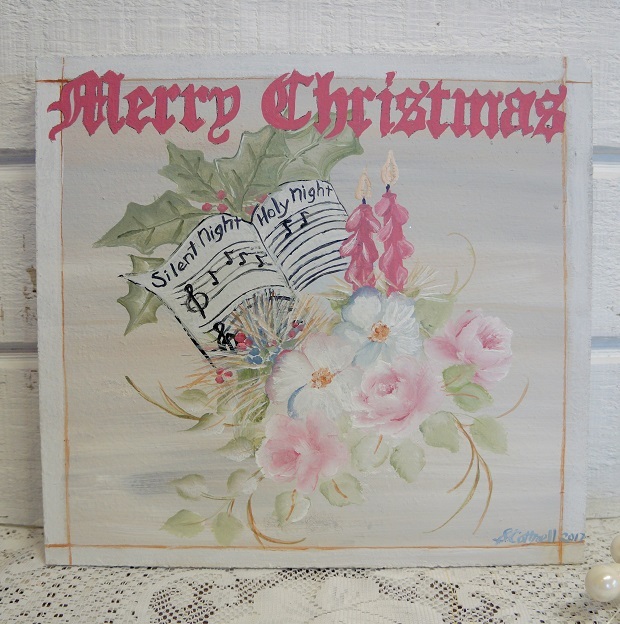 I hand painted this on a salvaged board. 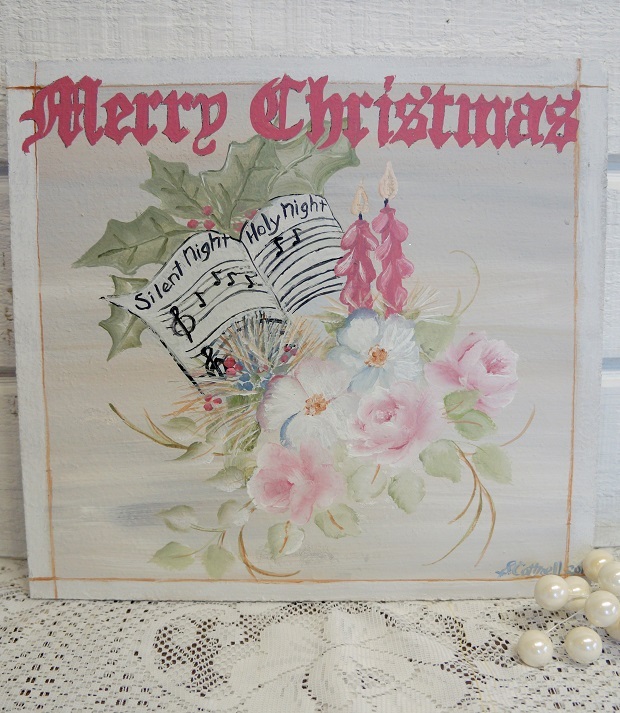 I painted the background in a farmhouse light grey wood tone. 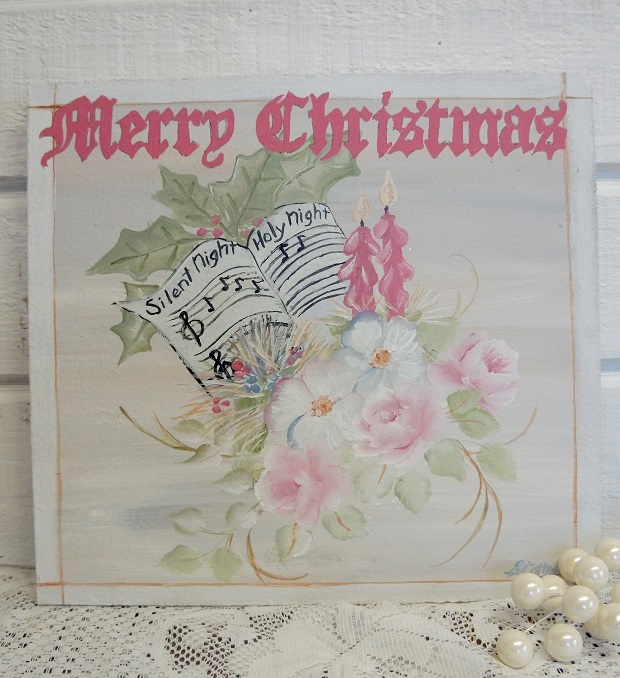 I added sheet music with the song, Silent Night, beautiful vintage roses in shades of pink, berries, holly, some pine needles and greenery. 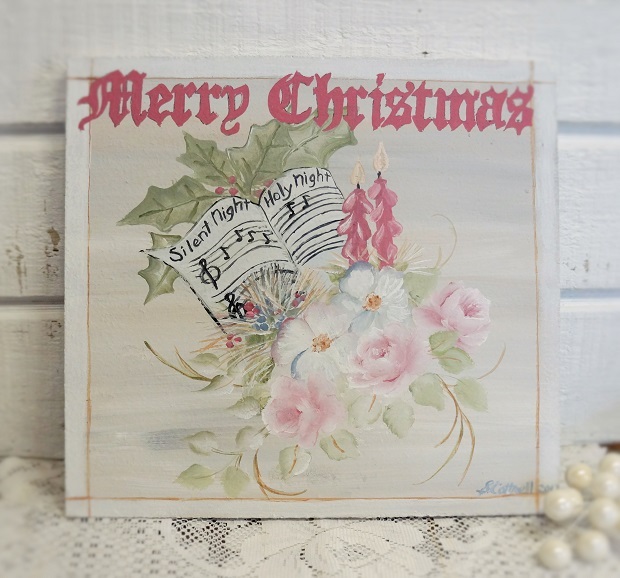 This will be so pretty added to your shabby chic style home, a farmhouse, Victorian or cottage home.